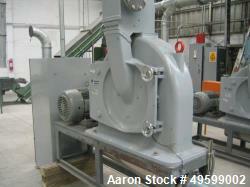 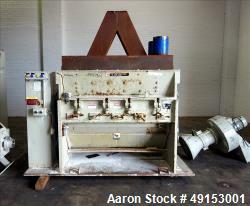 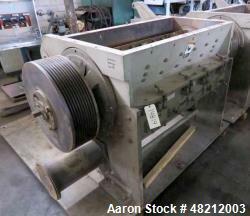 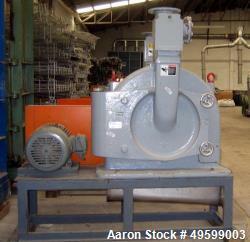 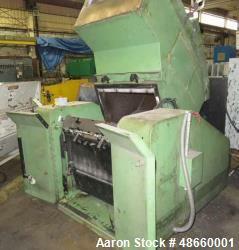 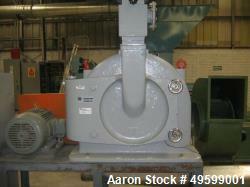 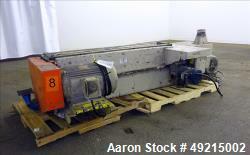 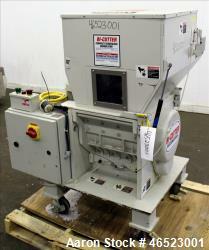 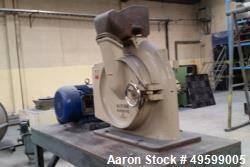 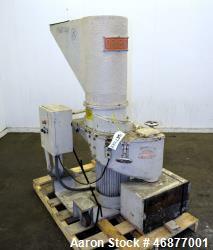 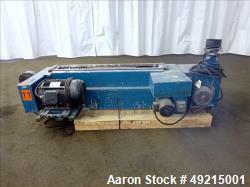 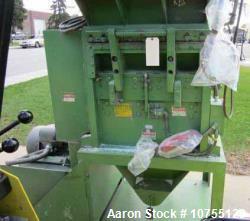 Used-Nelmore model G3072 granulator. 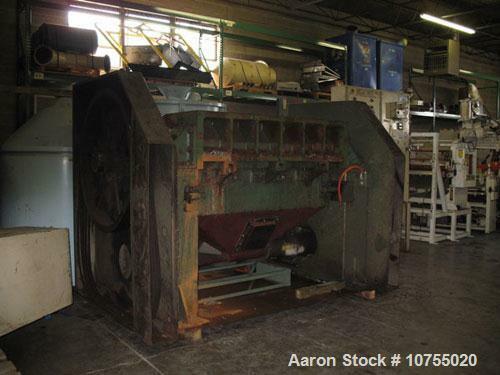 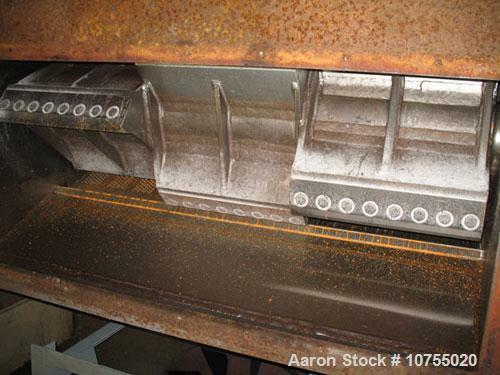 30" x 72" feed throat opening, 9 knife staggered rotor, 2 bed knife, dual 160 hp, 1165 rpm, 460 volt motors, dual flywheel, conveyor feed hopper, airveyor discharge. 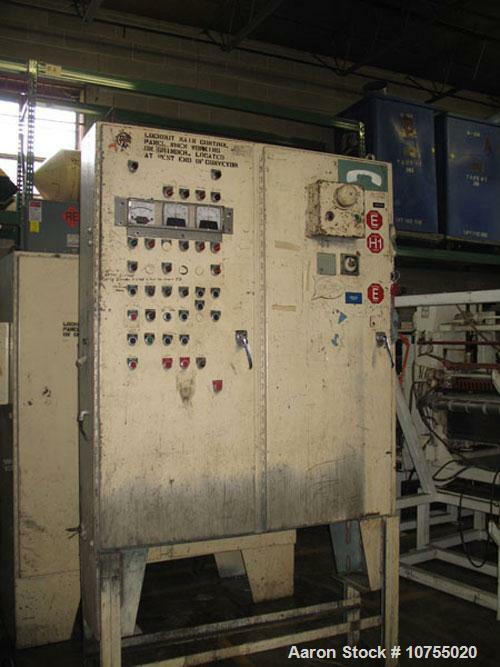 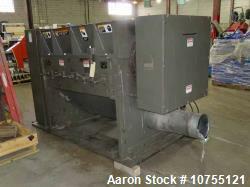 Includes starter panel and stand alone control panel having controls for granulator, blower, conveyor and screen cradle.